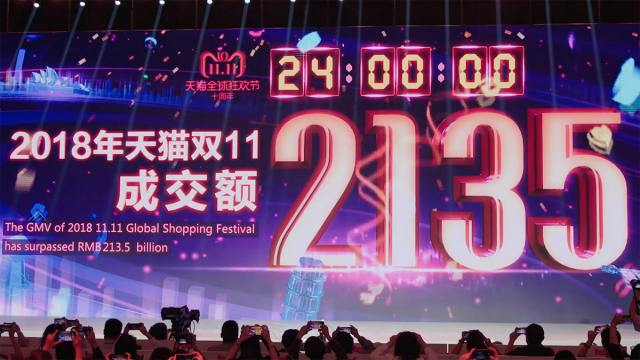 This year marks Alibaba’s 9th consecutive Global Shopping Festival. 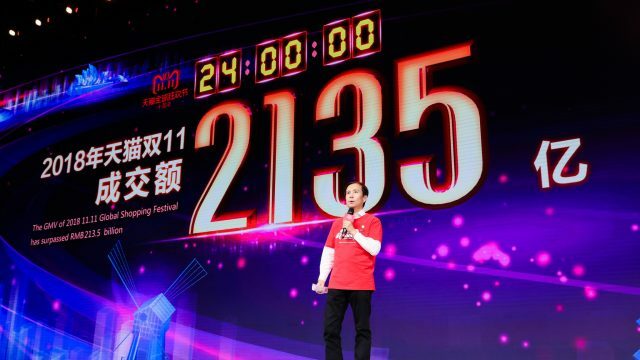 From an obscure date on the Chinese calendar, Alibaba has turned 11.11 into a hotly anticipated annual event and the world’s largest single-day shopping extravaganza. 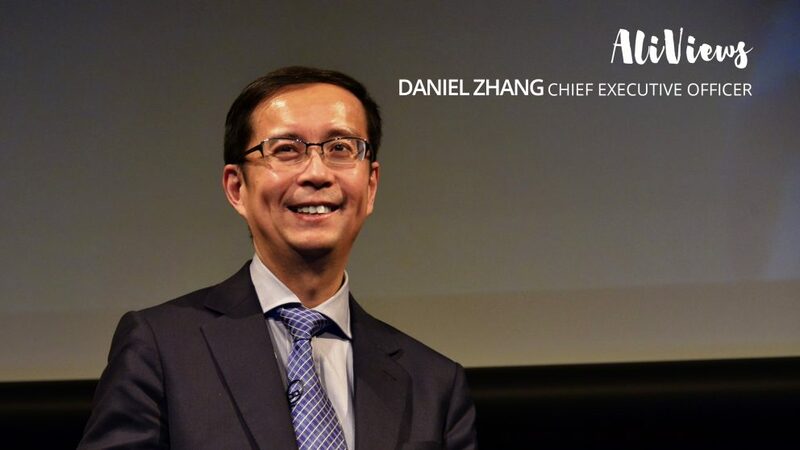 CEO Daniel Zhang was the godfather of the very first 11.11 and has piloted the event ever since. 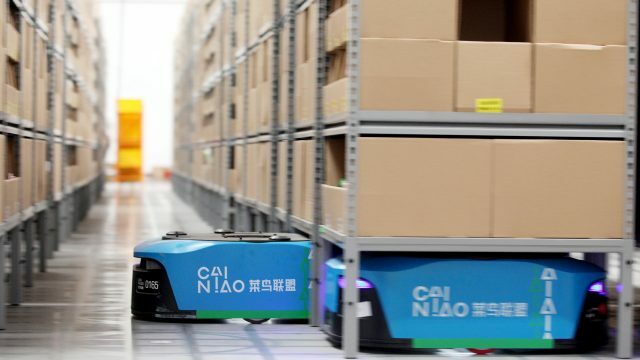 Alibaba uses 11.11 to introduce new technology and spark innovation in the retail sector, to promote brands and attract customers. Alizila sat down with Zhang recently to reflect on the past nine years of 11.11 and to see how he’s charting its future course. How has 11.11 evolved since the first one in 2009, and not in terms of the scale and scope, but in terms of its importance to both merchants and consumers? The theme of that first campaign was that if you are single then come to our site to do some shopping and you won’t feel lonely. So that’s how it began, but very soon, 11.11 became popular among customers – single and not single – as well as merchants. Today, 11.11 is not only a day for Tmall, but also a day for all consumers, not just in China, but around the world. We’re happy to see more overseas merchants join us and more overseas customers participate in the event. Consumption has no boundaries. Every person needs to consume. Actually, today, from the customer perspective, 11.11 has already become a good global shopping day. And from a business perspective, 11.11 is a good moment, a good day for all businesses to come together to offer their best service and best products to consumers all over the world. Daniel Zhang: New Retail is digital technology-driven. It’s our vision to digitize the offline retail world. It’s about generating chemistry between customers and products and retail formats. Today, we are still in an early stage. One example people like to talk about is Freshippo (also known as Hema) – our supermarket concept. It’s a great example, but Freshippo isn’t everything. I think we can generate many new retail formats powered by digital technology to meet the demand of young customers. We will use this 11.11 to share some early results with our customers. For this 11.11, we will work with more than 50 shopping areas in 12 cities. And we will have around 60 pop-up “iStores” in these shopping communities, including brands such as P&G, Estée Lauder, Beats, Unilever, and Lego. And we also are working with thousands of brands to upgrade their stores into “iStores”, or digital stores. This year, we will roll out about 100,000 iStores and one million omnichannel stores for 11.11. I would say all retailers are trying to embrace the internet and digital technology. What we’re doing is using our technology to help them make a successful digital transformation. And 11.11 is just a good moment for us to show how we can work together. Ever year the total GMV number steals the headlines. Is that the most important measure of success to you? Daniel Zhang: GMV is always a hot topic. Everybody is curious about the results, and obviously, GMV is a very efficient way to measure the scale of the business. But there are lots of other measurements to evaluate the results of November 11. For example, a number of customers participating in the event. I’ve talked with lot of brand partners and all of them recognize the importance of good sales. But more importantly, they know 11.11 isn’t just about sales. It’s about consumer engagement and brand-building. That‘s why so many brands put so many resources into online and offline marketing, their distribution channels and to introduce new products. Success on 11.11 comes because every participant contributes the best resources, the best products, and the best services to customers on that day. The number of participants, the level of service, the number of new products and number of people who are impacted online and offline are all interesting measurements to evaluate the success of 11.11. 11.11 generates a lot of data. How does this data benefit us, as well as our merchants and partners? Daniel Zhang: Data is important at Alibaba because we operate such a large data platform. Because of the scale of the event in terms of sales and customer engagement, we generate a lot of data on 11.11. We use that data in a couple of important ways. First, we use it to optimize our own operations. Second, we use it to empower our partners to do their jobs better. For example, data from the platform helps our last-mile delivery partners optimize their networks and systems to ensure all packages are handled smoothly and transport and logistics hubs are at their most-efficient. The data we have isn’t just for the here and now, it’s also to ensure future operations are at their best. That’s why so many merchants and partners are so passionate about participating in this event. What do you consider your greatest accomplishment to date? Some 10 years after coming to Alibaba, what policy or program you’ve introduced has had the best or most-lasting impact on the company? Daniel Zhang: I’m very lucky that I joined Alibaba 10 years ago and have witnessed and experienced the success of this great platform. In my 10 years here, 11.11 has become a very important event. Ahead of that first 11.11, for us, it was just about survival, about finding a way to make a small business grow quicker. But looking back, it was really all about the spirit of entrepreneurship that prevails at Alibaba. Today, we see a lot of good ideas incubated at Alibaba. We always do things for today, but we incubate for tomorrow. The most important things at Alibaba are passion and persistence. If you have a dream, a great idea, one that you truly believe in, pursue it. You may hit bumps in the road and suffer along the way, but you need to persist. Eventually, if your idea solves problems for customers, creates value for them and businesses you’ll realize your dream. 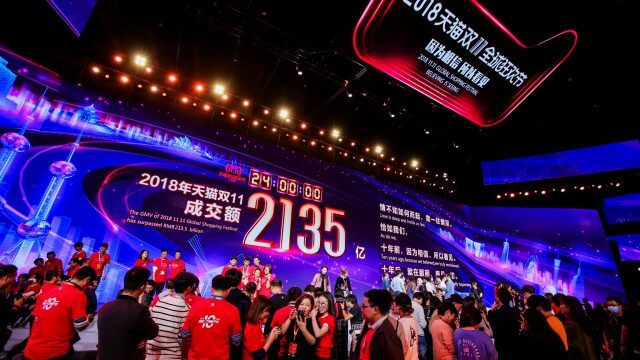 Will we ever get tired of 11.11, or will it remain an Alibaba flagship event for years to come? Daniel Zhang: 11.11 has a high profile today. It’s also a big symbol of the Alibaba ecosytem and economy, but it’s vital that it keep evolving. I talked to media and said we’ll have a problem if, five years from now, 11.11 is the same as it is today. One of the core values of Alibaba is to embrace change. We have to continue to innovate. I think 11.11 needs to continue to tap the newest technology and ideas that appeal to China’s Millennials. If we do that, we’ll be in great shape. How global do you think 11.11 can become? Daniel Zhang: It’s already a global event. We have many brands and retailers from so many countries joining in this big event. If you talk with multinationals, with global executives, CEOs, about 11.11, they’re quite eager to participate and that‘s because of China, the largest consumer market in the world, our home market. 11.11 offers companies a great opportunity to target the young Chinese customer base, to help build them build a brand, to help them show off their good products and services. From the customer perspective, we have people from more than 200 countries and territories joining us, but I think we have a lot more to do. Remember, our mission is to serve two billion customers globally in 20 years. To achieve that, 11.11 is an important vehicle for us to promote Alibaba and our platform to customers around the world. The 11.11 kickoff press conference ended with everyone wishing each other a “Happy 11.11,” the same way you’d wish someone a “Merry Christmas” or “Happy New Year.” What’s the significance of this? Daniel Zhang: The theme of this year’s 11.11 is, we “wish you a Happy Double 11.” In China, people from all walks of life celebrate a common holiday, like China’s Spring Festival. At that time of year, we say, “happy Chinese New Year.” In the western world, people enjoy wishing each other a “Merry Christmas” and “Happy New Year.” We want to create a day with no boundaries. We want people from the East and West to share the same day, the same theme. And that theme is consumption. But consumption isn’t only about shopping. It’s about lifestyle, happiness. We want a day dedicated to that. It’s also meant to be a day for imagining the future. That’s why we set a festive tone this year. We want everyone to wish each other a “Happy 11.11.” Going foward, we want to make Double 11 a real holiday for global customers.